Our company sat a course run by one of the companies Jamie has mentored, Principles For Performance, they are based in the U.K, and it was truly mind opening. 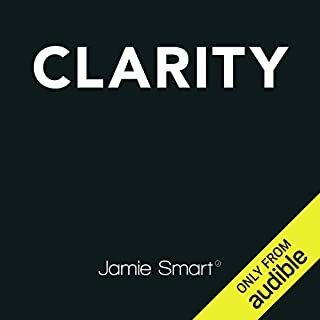 Jamie's teachings are now being used in the prison service to turn around long term and serious offenders, BECAUSE THEY WORK. We had 9 hours of coaching over 3 sessions and the impact it had was amazing. Everyone has reported improvements in their family lives and business lives, just by understanding that 100% of our experiences are coming from our thinking in the moment. It sounds so simple, and it is, but only when you understand it does life look and feel totally different. Thank you Jamie. Listen to this and attend a course, it will change your life. Loved this audio really pulls no punches. 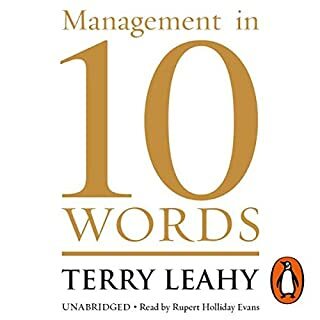 If you are in business you need to listen to this, these simple approaches that Terry Leah employed at tesco can be replicated in any business. I have always suffered with a quick temper, getting stressed out when things didnt go my way and stewing on all the bad things or injustices that I have been unfortunate enough to experience. At age 32 my marriage was on the rocks, I couldn't relax with my children and feeling like the relationship was over, mainly down to me. I went to a seminar to see a guy called Damien Hughes. In that seminar he explained the model of the Chimp/human/computer psychological make up of the brain and it brought an instantaneous awareness of why I was feeling that way and reacting in the way I was. I was lucky enough to sit on the same table as Damien at dinner and he told me about this website and this audio book. I went home downloaded it and listened in my car, to and from work for a week. It was as if this book was written for me, I honestly learned more about myself from this than any councillor I've ever seen. 6 months on and after employing the strategies outlined in the book, my marriage is now thriving and the time with my kids is wonderful. 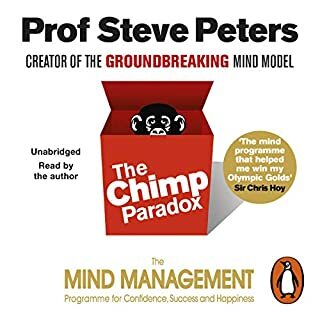 So a massive thank you to the author Dr Steve Peters and thank you to Damien Hughes (author of liquid thinking) for recommending this audio and explaining it so well that day.